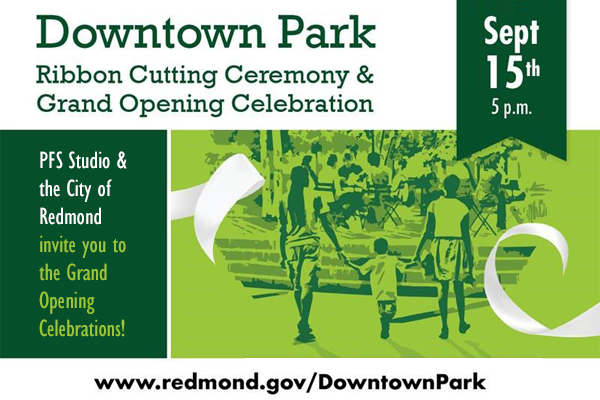 Join us for the grand opening of Redmond Washington’s new Downtown Park! Won by international competition, PFS Studio has been working on the park for the last 5 years. A grand opening party will start at 5 pm – this Saturday, with performance artist Lucia Neare’s Theatrical Wonder, followed by Artist in Residence Maja Petric’s digital art work on display in Jill Anholt’s digital art pavilion with reflective ceiling and water wall.